What was the best Halloween attraction in Los Angeles this year? Read on to find out...if you dare! 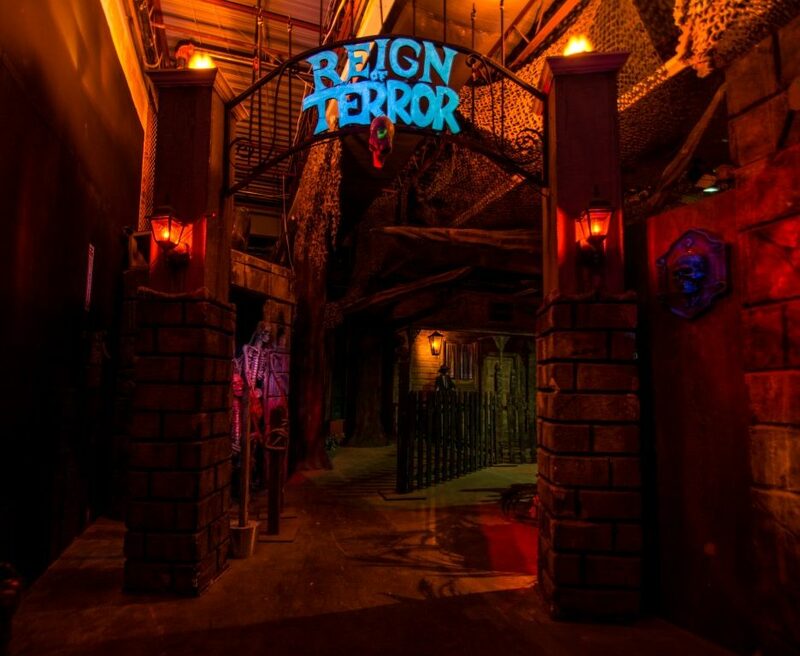 Reign of Terror has ranked among Hollywood Gothique's favorites since our very first visit in 2008. At first we admired its sets, which created a beautifully convincing simulation of a haunted Victorian mansion. 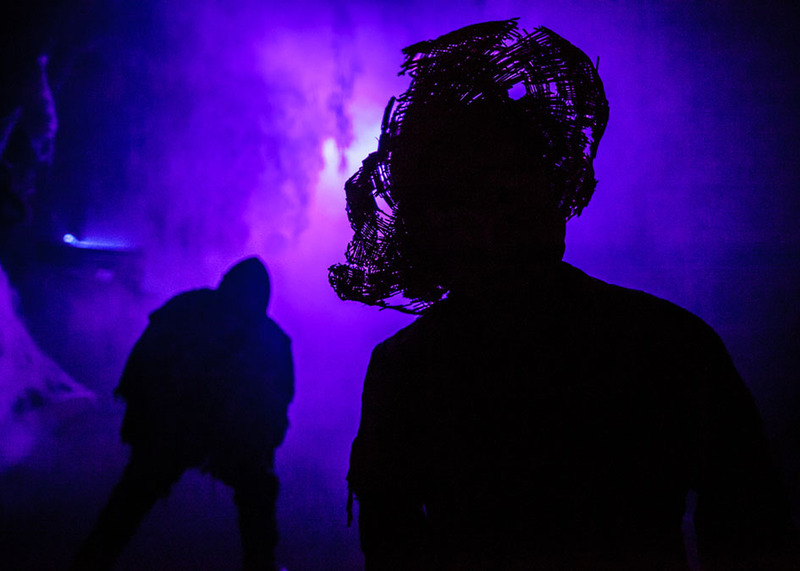 Since then, the haunt has more than doubled in size, adding new environments; along the way, the amazing settings have become increasingly inhabited by live actors and effects, creating a satisfying combination of atmosphere and shocks. 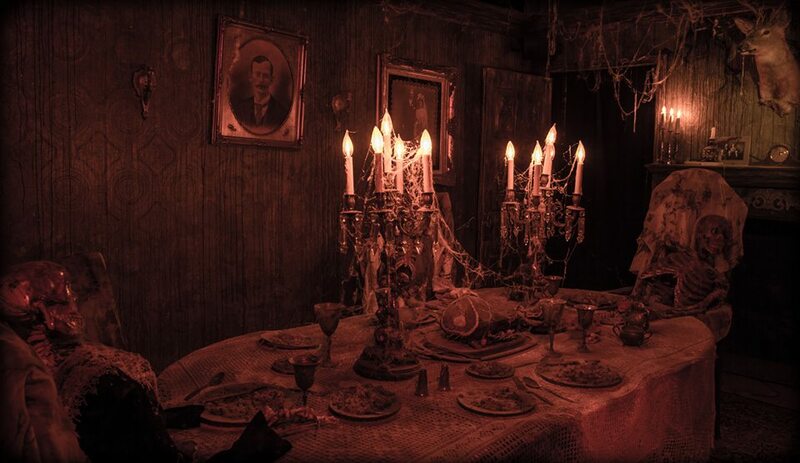 Once merely spooky, the Reign of Terror Haunted House is now truly terrifying. 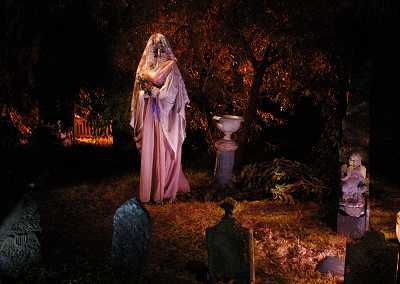 But what boosts Reign of Terror into consideration for Best Halloween Attraction is that its single labyrinth incorporates more than half a dozen different sections: beside the original haunted house, there is The Asylum, Blood Manor, Miner's Revenge, Quarantine, the Fun House, and Infected. For many years, the old Fright Fair Screampark billed itself as "Four Haunts Slammed into One;" Reign of Terror has them beat several times over - it is a de facto multi-haunt experience, which visitors get to enjoy for a single admission price, waiting in line only once. As we noted here, the twenty-five minute journey provides almost as much Halloween horror as a theme park but without the interminable hours wasted in line after line after line; consequently, the scares-per-cost ratio of the Reign of Terror exceeds that of any haunted attraction in or around Los Angeles. Quality, Quantity, and Value for Your Dollar. The Reign of Terror was an easy choice for this year's Best Halloween Attraction in Los Angeles.